There are a variety of hiking opportunities in the region including short walks through canyons, multi-day walks through the valley and ascents to one of the many peaks in the area. Depending on the time of year, the timing of these journeys is important but we can help you customise your journey to suit your preferences. As well as simple walks there are also more complicated routes which require more technical scrambling. 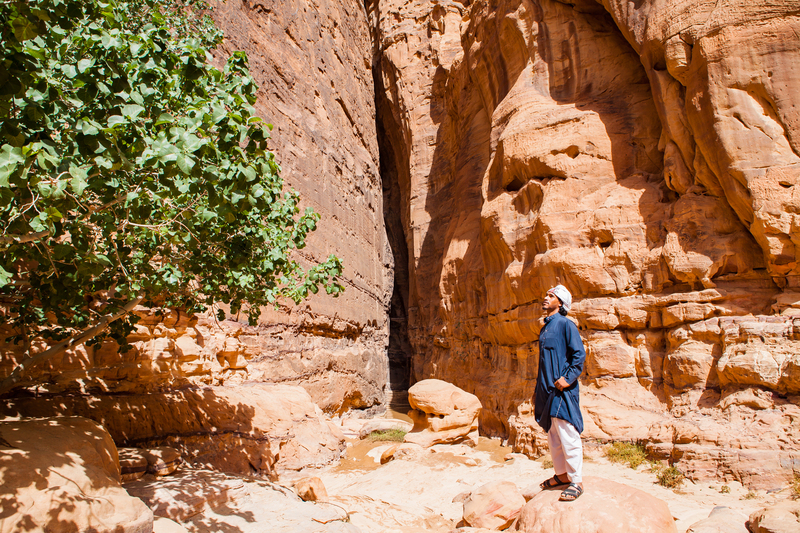 Half Day hiking tours are designed dependent on time of day and capabilities of guests, we have a variety of routes through the most scenic parts of the desert. 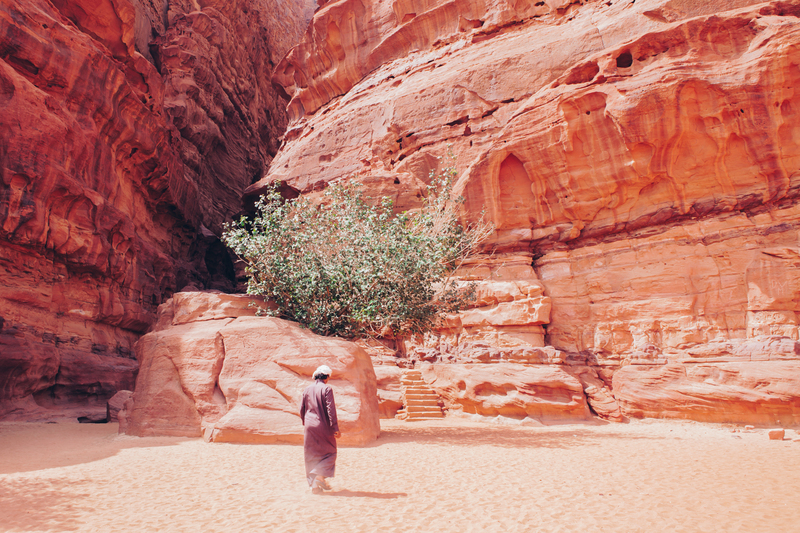 Walk from Wadi Rum Village passing destinations including Lawrence Spring, Red Sand Dune, Kazali Canyon, Small Rock Arch Bridge and arrive in the camp by dusk. Tour includes guide and explanation of ancient inscriptions and history and significance of each site. Includes the 1 day tour combined with a second day walking to Um Fruth Rock Arch, this route involves travelling through some of the less frequented areas of the protected area and includes lunch in a narrow valley pass. **There are more rigourous trekking options below that require scrambling for guests who prefer more demanding activities. There are a huge variety of scrambling options for all skill levels, time constraints and interests, we can help you customise a plan that suits you. Some of the highlight options for your reference include.